A blog article by Tony Robbins. When we think about successful startups or small businesses, we think about companies that create massive growth in a short period of time. But once the business hits an inflection point, revenue shoots up sharply towards the sky. Read the recap below, or link to the full blog here. When we think about successful startups or small businesses, we think about companies that create massive growth in a short period of time. In fact, we think of “hockey stick growth” – where there is an initial period of linear growth, but once the business hits an inflection point, revenue shoots up sharply towards the sky. But while that kind of growth may be the long-term goal for any startup, too often, founders place their focus on achieving it right away – some will even seek outside investment just to jumpstart that turning point. The problem with that sort of tunnel vision is that it diminishes the importance of the period of linear growth that comes before the rising handle of the hockey stick – that is, the blade. The blade typically lasts about three to four years, and it is where the most important work is being done. It’s where you, as a founder, will be doing all the heavy-lifting – juggling sales, marketing, operations, production all while revenue barely trickles in. And it will also be where you are establishing the very foundation of your business. The blade period is where you establish your core values, your company culture and your brand identity. It’s where you will develop the client experience you want to provide and create the initial business model when you take your product or service to market. And it’s where you will establish standards and guidelines that you believe are strong enough to help you endure the emotional, psychological, tactical and even physical turbulence that is inherent in starting a business of any kind. In short, it’s the make-or-break period of any business. With their focus on massive growth, many founders forget to ensure that their product or service is devoid of problems or errors. They often figure that they will just fix it after getting more users or more distribution. This “just ship it” approach has worked well for many tech companies, because in many cases, all it takes is one tweak to some back-end code that with one press of a button is applied across a number of touch points – hence, a scaled fix. But for many businesses, the “fix” is not as easy. So, if you don’t work out the kinks and get rid of the bugs now, they will only be exacerbated when you scale. Founders also become fixated on creating a product or service that is scalable, rather than one that is of excellent quality. But that order should be reversed. It doesn’t matter if it’s scalable if it isn’t a great market fit. In fact, it’s wise to do things that don’t scale early on. That way, you can use the feedback to find the issues, then to go back to the drawing board – following the learning curve to perfecting your product. Working on the issues in your first version also helps you assume more control over the scaling process, because you will have a deeper understanding of what you want and what you need your product or service to be. Plus, each iteration builds upon the last. And if that base model has not been perfected, you risk going down the wrong path entirely. Scaling doesn’t just involve growing upward and outward, it also means ensuring that your internal processes and operations are functioning seamlessly. The last thing you want is to start losing customers you’ve worked so hard to acquire because some part of your infrastructure is weak. Granted, some of the systems and processes that work when your company is in its nascent stages won’t work on a massive scale. So as growth ensues, you will have to adapt and implement new systems. However, by establishing thoughtful processes and operations, you will be able to really establish your company’s narrative – that is, who you are and how you want your company to run. For example, consider the way you take orders. Perhaps in the earliest stages, you are using a simple e-commerce solution. And that may work when you are only receiving 20 or so orders a day. But as you scale, the system may become overwhelmed and many of the orders will get lost in the shuffle – so you will need to recruit new solutions. The point, though, is that in the blade period, you are establishing key tenets of your business that you will want to keep no matter how big you grow. You will have certain pieces on lockdown – when the customer receives notification that the order has been processed, how long before the order ships, what types of communication lines must be set up between the order and production, how long it take for the order to ship. You will also know that you want to maintain a high quality of customer service and experience – so that the customer has complete transparency on their order and can always expect delivery at a certain time and in a certain capacity. By doing things that don’t scale, you can really establish who you are as a company and how you want to fit into your customers’ lives. And that starts with running through your internal processes and operations. Because even if those systems change as you grow, you will want to uphold the standards and expectations you have established – because that’s what preserves your company’s character and integrity. It may seem obvious that you have to establish a strong team if you want to scale. After all, the quality of leadership can make or break your company. And each new hire can be seen as an asset you acquired to help further your company’s growth. It’s also clear that the management structures that will work well with a company of 15 will not work with a company of 150, so you must focus on building a flexible team that can readily adapt as your business grows. But what might not be as apparent is that your team also consists of the external relationships you have built. What suppliers do you use? What about partnerships with other companies? How are your relationships with other entities in your industry? And perhaps most importantly, how are the relationships you have established with your customer base? One of the best things about a small business is the ability to establish intimate relationships with your customers. You get to give them the experience that you want, from beginning to end. And the goal should always be to create a raving fan – someone who will be a staunch advocate for your brand, who helps spread the word and your message. Remember, the community that you create around your business can bolster your foundation so that you have even more strength and leverage as you grow. So take the time to really build the “team” that will propel you into the future. Last, and certainly not least, spend this time building your brand: Learn who you are as a company and what you offer your customers. How do you compare to the competition? What do you have that no one else does? What are your biggest weaknesses? What makes you so powerful? What is your message? How do you disrupt your industry? It could take years to answer these questions. It’s not enough to speculate; you must be able to answer from experience. The beautiful part about this is that it also affords you the opportunity to make changes where necessary. Smaller businesses have the benefit of being able to shift gears more readily than larger corporations. So if your answers signal a need for a new approach, use that as an opportunity to innovate and adapt. 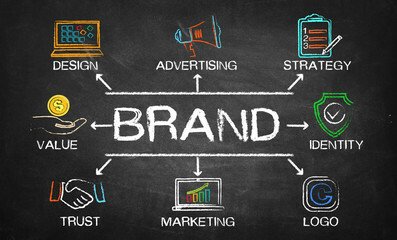 Remember, your brand will also set the tone for your company’s culture. It will set the standard for how you make your hires. It will help you establish the kind of client experience you want. It will impact marketing, sales and design efforts, and it will influence the kind of company you ultimately become. So take the time and do it right. Scale thoughtfully. Embrace the growth mindset, but be mindful as you do so. Because massive growth is one thing, but it’s sustainable growth that makes for a lasting company. Tony Robbins is an entrepreneur, author, philanthropist and business strategist. He is the author of six internationally bestselling books, including most recently New York Times #1 bestsellers UNSHAKEABLE: Your Financial Freedom Playbook and MONEY: Master the Game. Robbins has empowered more than 50 million people from 100 countries through his audio, video and life training programs. He created the #1 personal and professional development program of all time, and more than 4 million people have attended his live seminars. Interested in learning about how BizX can help your business grow?